Welcome to another edition of A Peek at My Week. I hope you will link up to share what you've got going on this week, either at school or at home. Well....it's official. I am DONE with winter. Don't get me wrong. I love beautiful falling snow, but this 30 mph-whipping-you-in-the-face-I-can't-feel-my-feet-if-I-have-to-plow-the-driveway-one-more-time-I'm-moving-to-Florida baloney has got to go. Even my poor Puggle, Rosie, is having a hard time dealing with all of this cold weather. This is what she did today as I was folding laundry fresh out of the hot dryer...pretty smart pooch if you ask me! And Tuesday won't be a heat wave either so rumors are that school will be canceled for that day as well. :( Seriously, we are going to be going to school until July if all of these snow days keep happening! So...what else is going on this week for me? I'm going to be spending a lot of time getting used to these babies. I have worn glasses for a long time, but at my eye appointment last week, my eye doc said those dreaded words: "You need bifocals." Ughhhh..... I tried wearing them today, but so far they've given me nothing but a headache. I completely attribute my need for these not to the fact that I am about to turn 43, but that I do soooo much reading that I have worn my poor eyes out. That sounds about right, doesn't it? On a side note, on Tuesday, January 7th, I will have my Reading Genre Challenge Tags offered in a giveaway sponsored by Joanne at Head Over Heels for Teaching and Holly at Fourth Grade Flipper. Both of these lovely and talented ladies have reached 1,000 followers and are holding a HUGE giveaway. You should definitely check it out! Yea, me! We were told that we are already cancelled. We found out Friday before we even left school. Good luck in Southern WI. I think July is when we will be going to school until. We don't build any "snow days" into our schedule. Either way...try to stay warm! Sending prayers. Come on to Florida. It's going to be 20 degrees on Monday and 73 on Friday. Florida is bi-polar, but I love it! After reading this, I feel like our high of 3 tomorrow will be warm. Rosie definitely has the right idea! We are in the middles of a pretty crazy snow storm right now and the low tonight/tomorrow morning is -1, so I'm waiting to see if we will get to extend our break by at least one day! Not sure how I feel about that though! Here in Massachusetts, it's warming up to the 40's tomorrow - it's a heat wave! At least, we'll have school after the 2 snow days last week. I know last summer vacation seemed so short because we got out so late in June. Some times I wish we could start before Labor Day so we could get out a decent time in June. I wear bifocals, too. That part of my prescription changes quite often - all part of the again process. I LOVE your dog - too cute! Rosie has the right idea. My puggle loves to do the same thing! Hi Jennifer - we are neighbors! I am over in Minneapolis and school is cancelled for us on Monday (and maybe Tuesday...fingers crossed)! Enjoy your day(s) off! 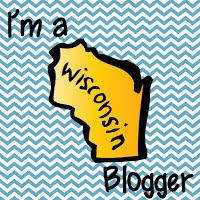 I am your newest follower and new to the blogging world! I plan to link-up later tonight after I run errands...why am I going out in this weather?! Hey Jennifer! I love the Peek at My Week Linky idea; very clever! I am fairly new to the blogging world and am really enjoying reading everyone's posts. Good luck with the yucky, cold weather and the glasses. I know you wish you could probably stay in and bundle up with Rosie all day! Sounds like a plan to me! Even here in Alabama we are out of school tomorrow because of severe cold weather and the possibility of ice on the roads-and goodness knows we don't know how to drive in that stuff! Hope all goes well with your mom. Oh, and I'm 43, too. It's not so bad, but I'm thinking that glasses might be in my future as well-for the same reason! I guess I need to start doing one blog post on Sundays with your linky and the What Are You Reading link up!! I'll remember that for next week! My district cancelled tomorrow, also! Here in Iowa it's going to be close to -50 with the wind chill. Warms up quite a bit on Tuesday though, so I'm sure we'll be back to school. My doggie likes to snuggle with my warm clothes, too! I love linking up for these! I am a 5th grade teacher, writer, NWP teacher consultant, mother, wife and friend who believes that when we collaborate together, great things can happen. Currently January -- Happy New Year!! Speed Blogging! PowToons, IRA Conferences, a GIVEWAY, and much more!